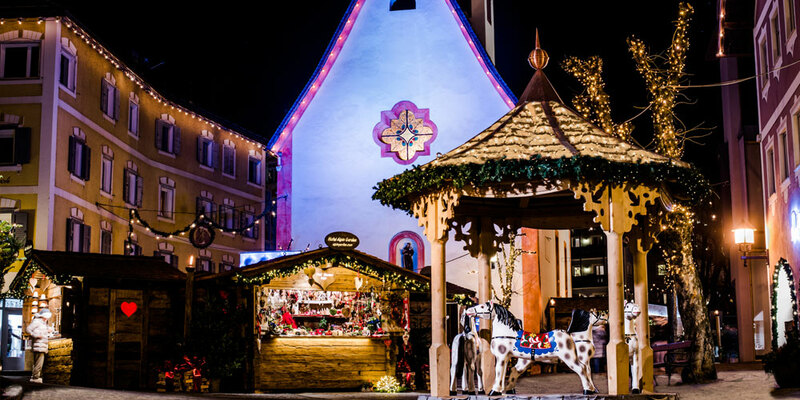 Ortisei, the picturesque capital of Val Gardena, turns into a winter fairy tale in the pre-Christmas period. The snow-covered scene and the magical atmosphere are always of great appeal to our visitors. 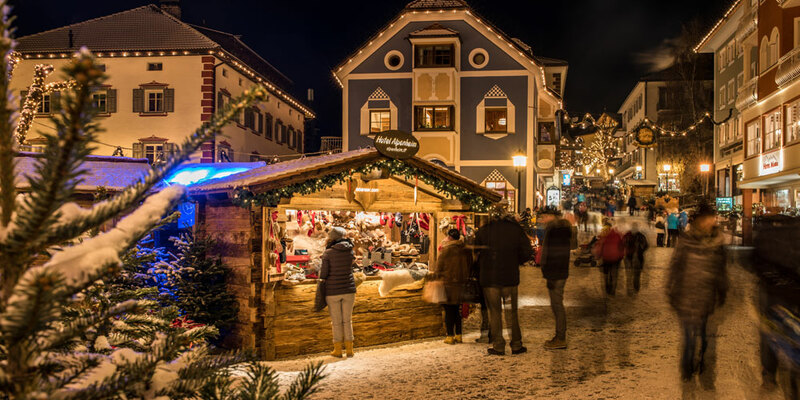 The Christmas Village combines the historical traditions of Val Gardena with the elegance and exclusivity of the range of products offered in the wooden huts. The âLodenloungesâ, cosy and comfortable wooden huts, invite visitors to taste local products and gastronomic delicacies in a romantic atmosphere. 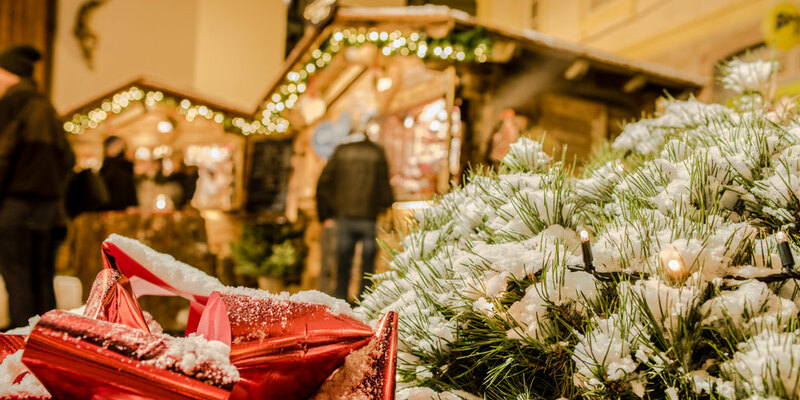 At the Christmas Village, you will find a rich assortment of products, ranging from the most original gift items to tasty Christmas cakes. There will also be fine liqueurs and South Tyrolean wines, which stand out for their exceptional quality and aroma. In addition to the wide range of products in the Christmas Village, there are also daily events in which local groups and musicians will perform. We invite you to attend these shows, which will make you enjoy the special Christmas atmosphere. 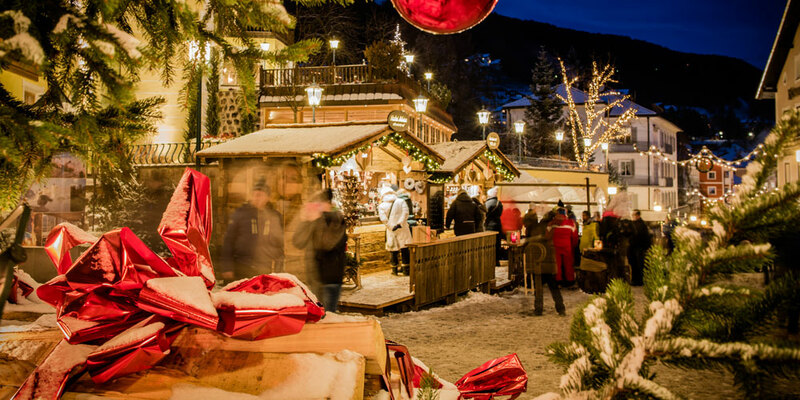 Discover Ortisei during the Christmas period and experience a magical atmosphere with a touch of glamour! Opening Ceremony on Saturday 01.12.2018 at 5.00 p.m.
from 4.00 p.m. until 7.00 p.m.
from 11.00 a.m. until 7.00 p.m.
07.12.2018: 11.00 a.m. - 7.00 p.m.
24.12.2018: 11.00 a.m. - 5.00 p.m.
25.12.2018: 11.00 a.m. - 7.00 p.m.
31.12.2018: 11.00 a.m. - 6.00 p.m.
06.01.2019: 11.00 a.m. - 7.00 p.m.
Monday – Friday: from 4.00 p.m. until 7.00 p.m.